Kindergarten lays the foundation for a successful school career. The primary purpose of our full day program here at Children's Choice Academy, is to develop self-esteem by promoting physical, intellectual, emotional and social development in your child. Your child will be involved in a rewarding LanguageProgram, (McGraw Hill Beginning to Read, Write and Listen), which will strengthen these skills. Individual letter books combine a phonics and whole language approach. Worksheets are designed to supplement activities in the letter books. Letter practice sheets give additional guided practice in basic letter formation. A combination of Kindergarten Mathematics by Scott Foresman and Everyday Mathematics from the University of Chicago is used. They provide "hands-on" experiences that have proven very effective. Children learn through the use of familiar materials and manipulatives to explore patterning, sorting, counting, telling time, graphing and problem solving. Mathematics is more meaningful when it is related to real-life problems and situations. Children's knowledge of mathematics should grow from their everyday experiences. 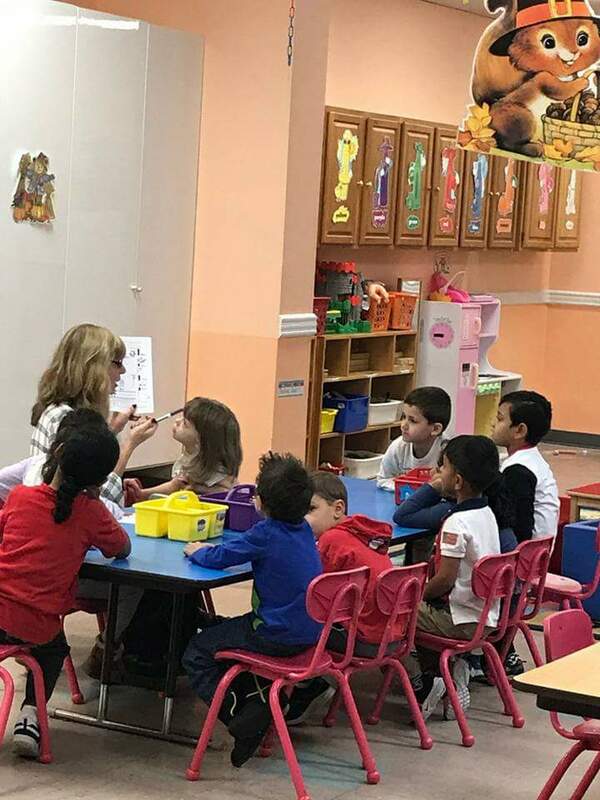 Our Science Program consists of activities in different units including plants, animals, our bodies, food & nutrition, senses, environment, weather, magnets, health, and color & light. Your children are directly involved in simple experiments. Experiences in our Kindergarten Program aid in the development of physical and motor functions. Music helps children connect the outer world of movement and sound with the inner world of feelings and observation. Commuter convenient, we are located in East Brunswick, just off of Route 18, near the Lowe's Home Improvement Center and Value City Furniture. Children's Choice is less than 3 miles from Sayreville, South River, Milltown, and Spotswood, dedicated to providing child care to your most precious.